NASCAR should follow the IndyCar Series template and slash costs for its new-for-2021 Gen-7 platform, says team owner Roger Penske. 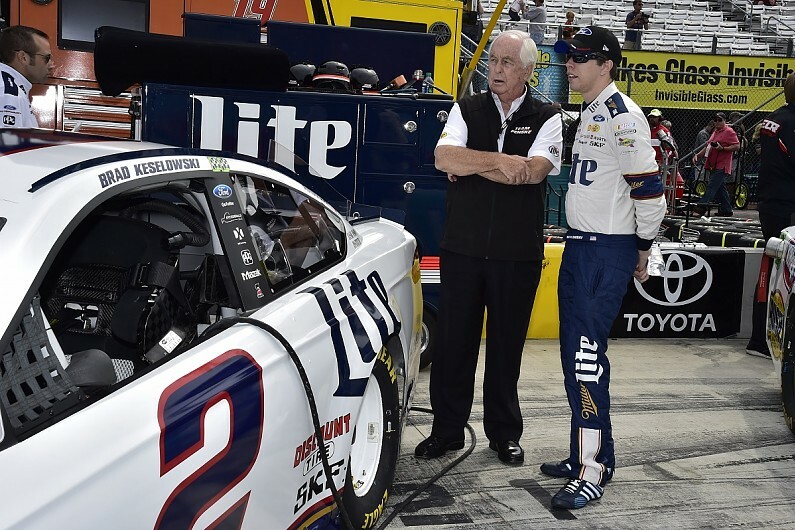 Penske has teams within NASCAR, IndyCar and the IMSA SportsCar Championship, with the stock car series comfortably the most expensive of the three. IndyCar has kept its operating costs low by limiting the areas of development within the series, with the majority of its innovation coming within teams’ shock and dampers programme. The introduction of the universal aerokit last year also helped IndyCar lower budgets. As NASCAR continues to formulate its 2021 plans, both Penske and fellow IndyCar and NASCAR team owner Chip Ganassi are believed to have lobbied for similar cost reductions in NASCAR. “You can run a team [in IndyCar] for $3-4million, depending what you’re paying your driver,” said Penske. “The compact schedule, the fact we’re not spending the money and developing the cars like we are in NASCAR, where – with the changing rule packages – we’re building new cars every week. “[In IndyCar] we can do a lot of little things to it, then it comes down to the driver and the strategy. “I’d say that the costs [in IndyCar] are in line now. If you get three sponsors in for a million or so, you’re there. “I think that’s absolutely the way NASCAR is going now with the Gen-7. Penske president Tim Cindric clarified the cost difference between NASCAR and IndyCar. “In NASCAR [Cup, for a season] it’s $20-30million to compete, and [in IndyCar] to compete it’s $3-4m plus driver salary, but to compete at the top level, it’s closer to $7-8 or $9m. NASCAR has battled against declining interest in recent seasons, which has impacted sponsorship deals. The organisation also underwent a change of leadership last year with Jim France now its CEO and president Brent Dewar replaced by Steve Phelps. It has reacted by adapting its calendar for 2020 and is evaluating its future path, but concerns over costs have still led to the recent closures of 2017 Cup champion squad Furniture Racing (pictured above) and the former Red Bull NASCAR team, BK Racing. Cindric said: “What you saw with the #78 [Martin Truex’s championship-winning entry] is that you’re so much more fragile,” he added. “I don’t care who you are, if you have to get in your own pocket for $10million, that’s a lot. “[In IndyCar] if you lose a sponsor, bridging your gap to the next sponsor is a lot less of a financial risk.